In Hindu Mythology, Nataraja is a name given to Lord Shiva, for he used to perform a cosmic dance to rejuvenate his emotions, thus restoring balance in the universe. This posture mimics one of the dance poses of Lord Nataraja. Step 1 – To begin with, stand in the Tadasana. Step 2 – Breathe in, and lift your left foot, such that the heel is placed towards the left buttock and your knees are bent. Your entire body weight must be placed on your right leg. Step 3 – Then push the ball of the right thigh bone into the hip joint and pull the kneecap up so that your standing leg is strong and straight. Step 4 – Keep your torso upright. Grasp the left foot from the outside with the left hand. You must make sure your lower back is not compressed. So, make sure your pubis is lifted towards your navel. And as you do that, press your tailbone to the floor. Step 5 – Begin to lift your left foot up, away from the floor and back, away from your torso. Extend the left thigh behind you and parallel to the floor. Your right arm must be stretched forward, such that it is parallel to the floor. Step 6 – Hold this pose for about 15 to 30 seconds. Release, and repeat on the other side.t. 30 to 60 seconds on each posture based on the comfort level. It should be normal breathing when in the Posture. 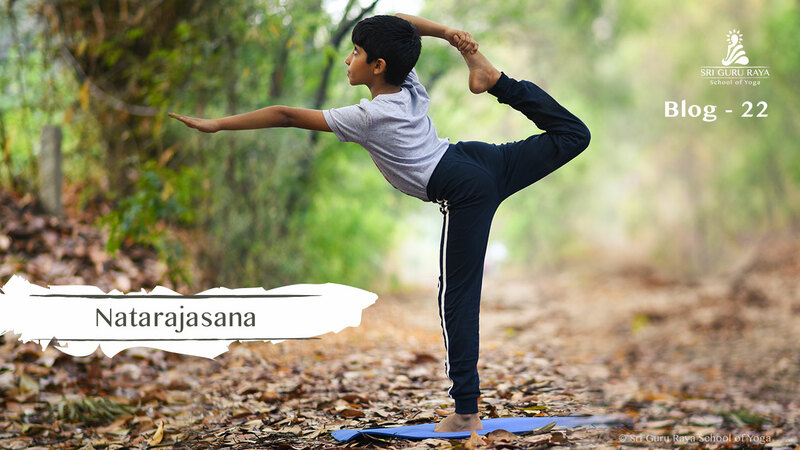 Practising this asana gives strength to your chest, ankles, hips and legs. It gives your groin, abdominal organs and thighs a good stretch. It improves your posture and increases your balance. It helps better your digestion. You tend to focus more and are relieved of stress. This asana calms your mind. Your body becomes flexible and opens up your hip flexors. This pose develops greater flexibility in your spine, shoulders and hamstrings. You will find your concentration increasing in intensity.